Democratic Governor Roy Cooper began his first State of the State address highlighting the shared interests of all Tar Heel State citizens, but quickly turned to lambast certain Republican-sponsored policies for allegedly damaging the state’s economy and reputation. 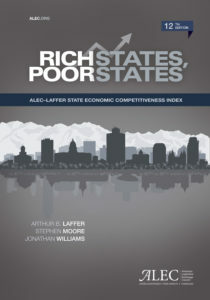 Nevertheless, the governor focused most on proposals for “investments” in (i.e. spending) education, healthcare, the opioid crisis, disaster recovery, and jobs growth. In fact, in total, he proposed a $23.4 billion budget, with $1.1 billion in new spending—a 5.1 percent increase over the current fiscal year. Saying, “We will find this agreement because too much is at stake if we don’t,” the governor subtly expressed his frustration at the weeks of policy skirmishes with the legislature. Governor Cooper highlighted the absence of tax increases and a commitment to adding to the rainy day fund in his budget proposal-although calling for the massive spending increase. Thankfully, the legislature remains committed to fiscal responsibility and priority-based budgeting and thus unlikely to approve his lengthy list of expensive proposals. Citing the difficulties faced by businesses in attracting skilled workers, the governor asked lawmakers to focus on “making North Carolinians better educated.” To accomplish this, he proposed teacher pay raises averaging 10 percent over the next two years, in order to “bring teacher salaries up to the best in the Southeast in three years” and “make North Carolina a Top Ten Educated State by 2025.” But, the Governor’s premise that more money automatically yields quality education is often wrong. Numerous states that spend less than the national average per pupil have higher student academic achievement than states with the highest per-pupil spending. Governor Cooper should work with lawmakers to empower parents and students through expanded school choice. To increase preschool enrollment, improve the high school graduation rate and ensure more adults obtain advanced degrees, lawmakers should tie funding for schools and pay raises for teachers to performance and outcomes. 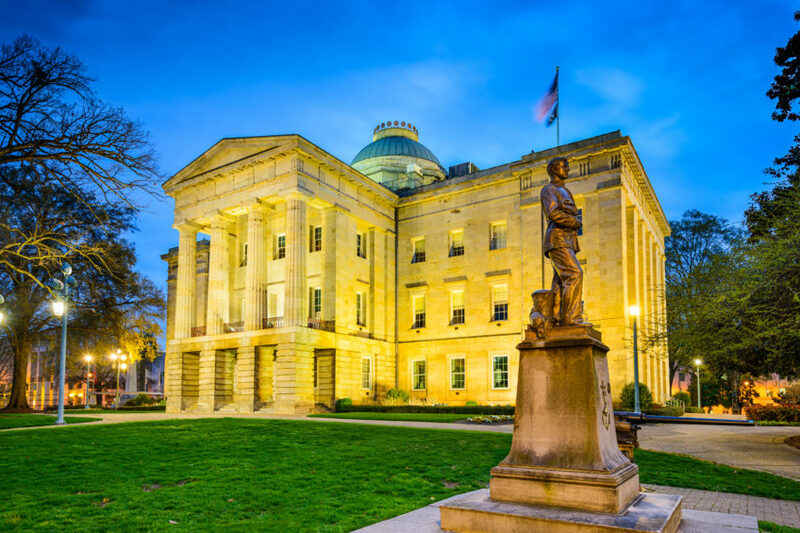 On tax policy, the governor lobbied for a reinstatement of the tax carve-out cronyism—some of the very favoritism eliminated by the pro-growth reforms of former Governor McCrory. He also called for creation of a workforce program, “NC Grow” (Getting Ready for Opportunities in the Workforce), which would provide tuition-free community college. The governor implored legislators to address issues stifling small businesses and jobs growth; but rather than embracing efficient government and lower taxes, he called for renewable energy carve-outs and expanding tax payer funded rural broadband—hardly economic dynamism. In closing his remarks, Governor Cooper promised “to listen, to engage, to build consensus, to compromise when possible.” “I promise to fight only when we can’t come to agreement or when you leave me no choice,” he continued. But North Carolina did not become a “state of promise” through profligacy and cronyism. The fruit of years of hard work by lawmakers to implement broad-based, pro-growth tax reform are evidenced by the state achieving the fastest state GDP growth in the nation, by $4.5 billion of tax cuts since 2013, by the hundreds of thousands of new jobs, and by a half-billion dollars in unexpected surplus revenue. 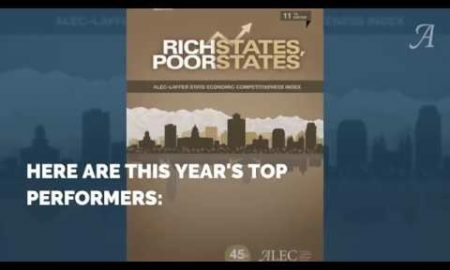 It should come as no surprise then to those familiar with the ALEC Rich States, Poor States Economic Outlook Rankings how the state has rocketed from 22nd to 2nd place in just over three years. 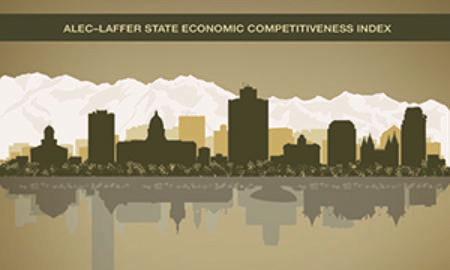 Rather than squandering budget surpluses towards picking winners and losers through crony development programs, the governor should work with lawmakers to return that money to the people who earned it: the taxpayers who have proven the ability to generate economic growth.